Not only do environmentally friendly manufacturing processes help preserve the planet, but they also make a positive impact on your customers’ lives. Guy & O’Neill puts the consumer first by developing products that are free of potentially harmful ingredients. We aggressively search for safer preservative systems and whenever possible create preservative-free products. 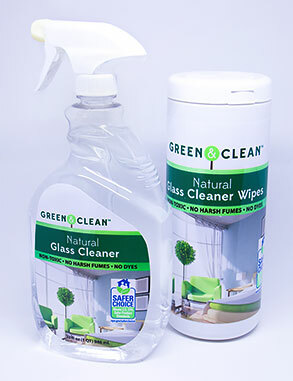 G&O works in conjunction with the EPA, contributing to the Safer Choice program by developing highly effective household products that are safe for people as well as the environment. In all aspects of manufacturing — from source materials to the finished product — G&O emphasizes environmental stewardship. We work with suppliers to find sustainable raw materials and minimize our environmental footprint at every phase of production. We also recycle and reuse materials whenever possible. G&O continues to push the boundaries in its LEAN journey. We have achieved and maintained world-class manufacturing efficiencies, achieved regulatory excellence with EPA and FDA guidance, and produced excellent quality systems assessed by third-party auditors. We have demonstrated continuous improvement in waste reduction, defect-free manufacturing, and one-time and in-full metrics. By adopting a “FBCS” (faster, better, cheaper, simpler) approach to decision making, our partners in private label and contract manufacturing benefit from lower costs, a more reliable supply chain and outstanding quality. Leverage our expertise in LEAN practices and sustainable global manufacturing! Contact us via the website or 262-692-2469.